It's the Controllable Players' Offseason Review. Time to look over all 30 teams and rank how their offseasons looked given the current state and direction of each franchise. Keep in mind this is not a ranking of how I expect these teams to perform next season, just on what they accomplished over the offseason. The White Sox seem lost and utterly without direction. Faced with rebuilding the club for the first time in his tenure, Kenny Williams showed that he’s a man much more comfortable when he can be the aggressive pursuer. Before even analyzing the off-season moves though, I’m curious as to why the team even felt the need to rebuild. Even with the disastrous seasons from Rios and Dunn in 2011, the White Sox still finished with 79 wins and they still play in the very winnable AL Central. I think if they beefed up their team a little they could have made a run at the division. Aside from that though, this is not how you go about rebuilding a team. A young controllable asset like Santos who has shown he can play in the big leagues is worth a lot more than what the Sox picked up in Nestor Molina. They also traded their best outfielder away for a 23 year old prospect who keeps sliding down rankings lists. Although Danks has been a fine starter to date, he had his worst season last year and committing $65 million to him at the start of a rebuild seems like a waste. He’ll put up decent numbers, but at a fairly high cost and for what cause? Overall the White Sox offseason just leaves me very confused about the state of the team, and bringing in managerial rookie Robin Ventura seems a bit short-sighted. 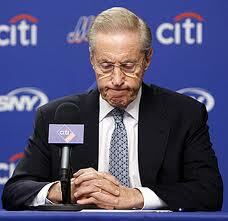 The Mets are about to have the largest drop in payroll in MLB History. This might be of some satisfaction to the fans if they were just coming off a championship or if they unloaded some bad contracts to give some prospects a shot. But this is a team that finished 25 games out of first last season and will do significantly worse this season. 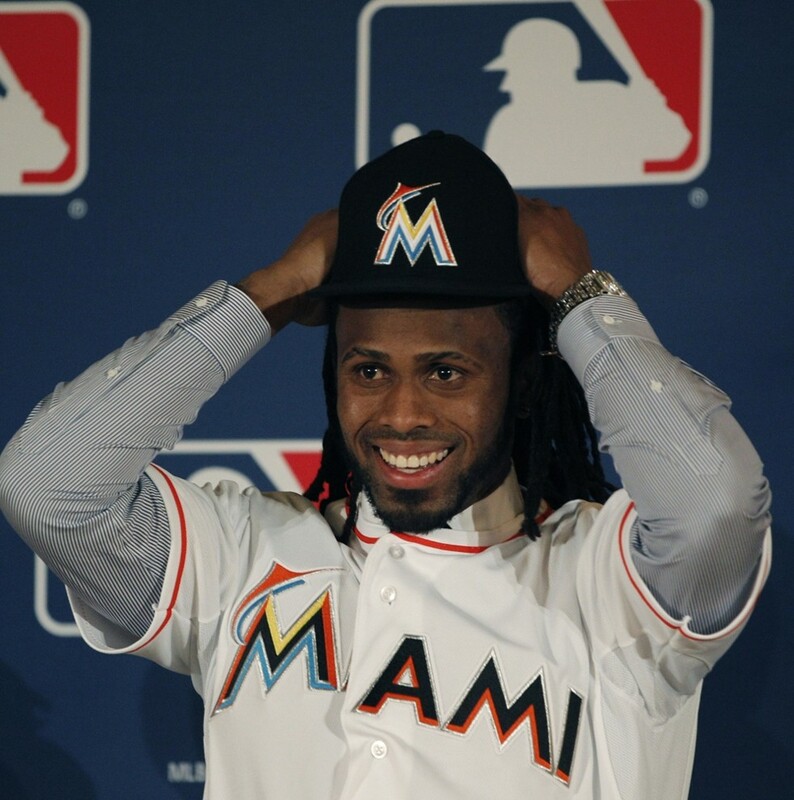 Not only did the Mets lose their All-Star shortstop, but they lost him to their division rival Marlins. The team didn’t improve their offense or defense. The bullpen may be slightly better, but it was expensive and who cares? So maybe they’ll blow one less save on their way to 65 wins. 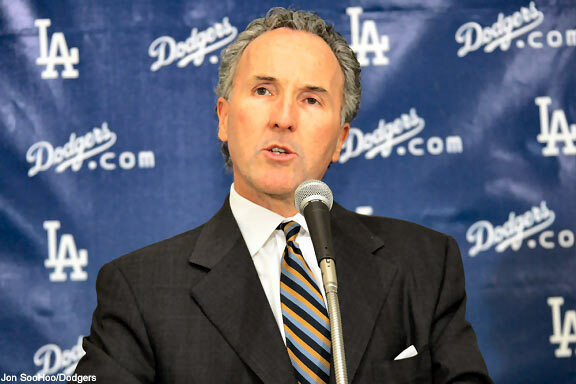 An owner facing lawsuits means no big signings in the biggest market in baseball. It all adds up to one awful winter. 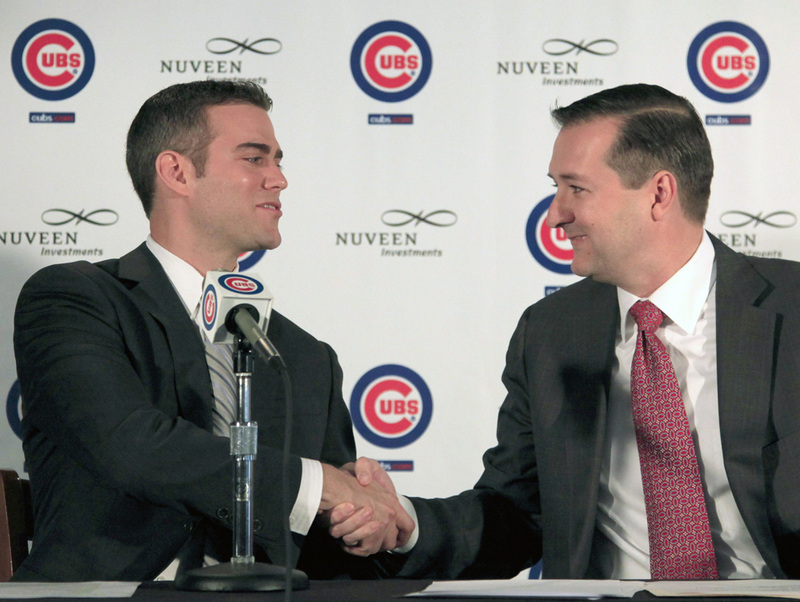 The best news the Twins can hope for going into next season is to get Mauer and Morneau happy. If that doesn’t happen, the moves listed above will certainly not help the Twins chances of returning to the playoffs. Three years and $21 M to Willingham. Two years and $6.75 M to Carroll. Did I suddenly wake-up in a world where these are good baseball players? 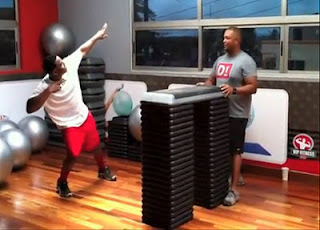 Those are large commitments to players who have on their best days have merely been average. Doumit will hold the fort while the franchise decides what to do with Mauer and Jason Marquis is well, a pitcher. The Twins have bought themselves some expensive mediocre performance in a year when they truly don’t expect to do well. To top it off they gave $10.5 M to a closer who last year managed only 4.7 K/9. With a pitching staff led by Carl Pavano, Mauer and Morneau won’t need to be just healthy, they’ll need to be at their MVP levels for this team to even sniff .500 this season. The best thing I can say about the Orioles is that they seemed to show tremendous restraint with their own players. Letting Scott, Guerrero, and Reyes walk means they’ll be someone else’s problem this year. Look at that list of signings though, what a bunch of nobodys. Lindstrom pitched decently last year in the Coors air, Betemit can play multiple positions and comes fairly cheap, and the team has hopes that Chen can figure out North American ball, but let’s face it, if the Orioles ever return to glory it will not be because of any of the players listed above. They’re stop-gaps at best, and in the AL East that doesn’t play. Hopefully Britton can help the team overcome the loss of their de facto ace in Guthrie. The offseason didn’t give Orioles any hope for this season or the future, illustrated best when they were rejected by multiple candidates in their GM search. 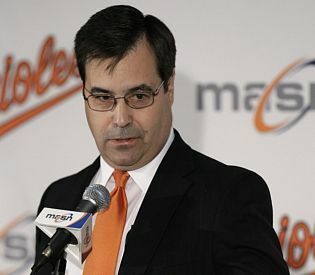 Maybe Duquette can turn it around for Baltimore, but history seems to suggest otherwise. The worst part of the Astros offseason had to be finding out that they’ll be spending their future playing against the AL West. In what looks like to be an anyone-can-win down year in the AL Central the Astros are the one team which I feel more than comfortable counting out. 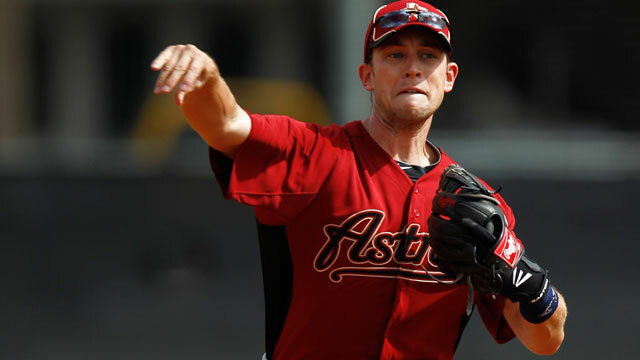 I like the trade of Melancon for Jed Lowrie who’s young and has shown flashes between injuries that he could be the real deal. Jack Cust will serve as a DH who strikes out way too much. Unfortunately the Astros can’t use him as a DH for another year. 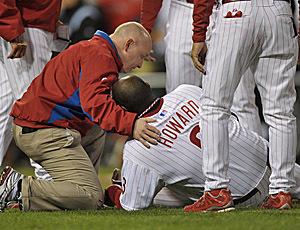 Hernandez and Duke can hopefully stay healthy enough to eat some innings but I wouldn’t expect anything beyond that. There’s just nothing here that will really help the Astros in the future. The Dodgers had last year’s Cy Young and winner and 2nd place MVP finisher and they did their job this offseason by extending their contracts (although Kershaw’s only covers arbitration years). However beyond those two studs there is not a lot to like about this team. Although Kuroda looked like he was seeking greener pastures and Garland’s best days are probably behind him Capuano and Harang will not be able to replicate their performance. The Dodgers needed a lot more offense and Rivera in LF for two more years with the hitless combo of Ellis, Kennedy, and Hairston Jr. in the infield will provide next to nothing. It would have been a lot better to skip the aging veterans and try to see if guys like Dee Fordon are the real deal. It’s a lot of treading water for another former glory team with an owner in financial trouble. After their epic September collapse last season the Braves held pat this offseason and returned with almost the same lineup they finished with. It wasn’t the worst plan. A full season out of Bourn, a bounce-back year from Heyward, and another jump from Freeman is worth a few more wins. Unfortunately the rest of the division got a lot better. The starting rotation is still a bit of a question mark. Although the team allowed the second lowest runs in the league last season a lot of that was on the back of their tremendous bullpen. Hudson and Hanson can hopefully play a full season, but Jurrjens vastly overperformed last season and is a major regression candidate. 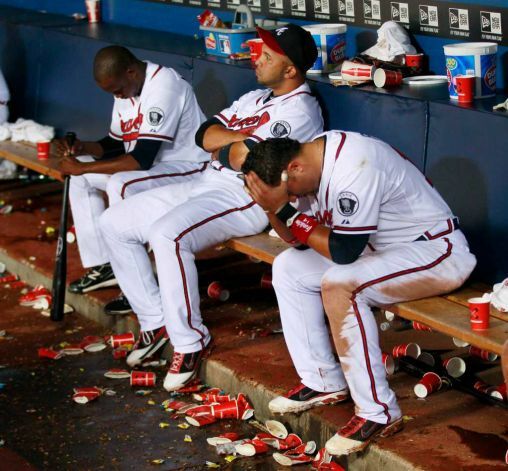 Beachy and Minor do not have a lot of games under their belts and with inning eater Derek Lowe gone they will have to perform all season for the Braves to stay in contention. It wasn’t the wrong move to trust the guys already on the team going forwards, but looking at the rest of the division, a better shortstop or left fielder definitely wouldn’t have hurt. It’s tough to be a fan of the Oakland A’s. A year after finishing 22 games out of the division and seeing the two teams ahead in the standings improve, the A’s trade away 2 of their best pitchers. Now given the current state of the team this wasn’t such a bad move. They got a good return for both Cahill and Gonzalez and I’d expect both to regress having left the Coliseum. Beane also pulled off his favourite move of turning a closer into a position player. Seth Smith could be a breakout player for the future and the fact that he batted similarly last season away from Coors as he did at it is a good sign. The A’s let a couple veterans walk and brought in some others on the cheap. Overall I actually liked the A’s offseason, right up until they signed Cespedes. For a team that cries poor and just gave away two young major league proven controllable players to build for the future, it seems completely reckless to give $36 M to a player who’s only experience outside of Cuba has been a World Baseball Classic and a few weeks in the Dominican League. Maybe he’s being brought in as a trade chip, but to me it seems as if it’s tying a lot of money up in a player that won’t be around when the A’s are competitive again. 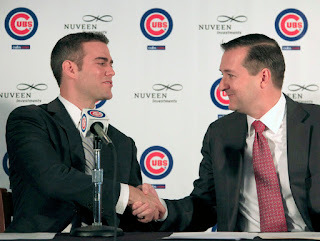 I rank the Cubs this high not because of any of the players listed above, but because they were able to bring in the front office duo of Theo Epstein and Jed Hoyer. With those two leading the way the future looks bright. As for this season, it doesn’t look great. The Cubs are in a rebuilding mode so letting Ramirez and Pena walk was definitely the right decision. Zambrano obviously had to go but I’m not a huge fan of getting Volstad in return. He may be a major league pitcher, but he shows no signs of becoming a front-line starter. I would rather have gone for something slightly riskier but with greater potential. I like Sean Marshall but he was expendable and Wood could be worth a look. 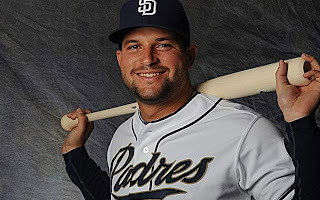 Rizzo has definite star potential and it was good of the Cubs to swoop in and nab him from the Padres who were looking to unload after acquiring Alonso. Aside from Rizzo there isn’t a lot here to look forward to, but the team is in a good position to rebuild going forward. The worst thing the Indians did last season was win. By hanging with the Tigers until mid-August the Indians deluded themselves into thinking they actually have a good team. That could be the only possible reason to justify the Casey Kotchman signing. Kotchman has a nice glove but absolutely no power. His slugging ranked second last to Mitch Moreland in the AL last season. Kotchman is the kind of guy you bring in if you have all the right pieces in play to make a playoff run but could use a small upgrade at first. After eight seasons he is what he is and that ain’t much. The worst part about it is that it blocks players like LaPorta, Canzler, and Duncan from getting playing time at first. Those guys have had their ups and downs but I’d say it’s much more likely that one of them steps up to put the Indians over the edge in the future than Kotchman. The rest of the offseason isn’t anything special. Sizemore came back cheap and will try to avoid injury for another year. The Braves ate most of Lowe’s salary, and although he’s not the player he once was, he’s been durable going 180+ IP for the last 10 seasons. The future looks bright for the Indians, but they have to give their own guys a chance to make it happen. For a team that won the World Series two years ago and just allowed the fewest runs against in the league the Giants did not do anything to make me think they can return to the playoffs. They traded away their most expendable starting pitcher to bring in an outfielder who for the first time in his career played at an above average level and the Torres for Pagan swap seems close to a wash. The Giants will need to score a lot more runs next season having scored the fewest in the NL. Fortunately they play in the NL West where anything goes. 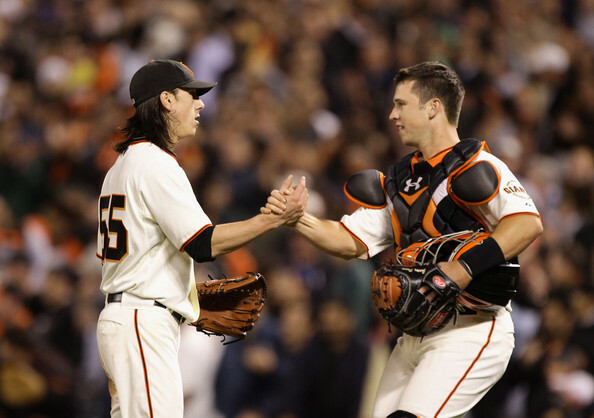 So although the Giants didn’t do anything in the offseason to vastly improve their playoff odds, if they give kids like Belt time over Huff combined with the excellent rotation, it could be enough to put them back in the playoff chase. The Padres had a lot of turnover this offseason, mostly for the better. 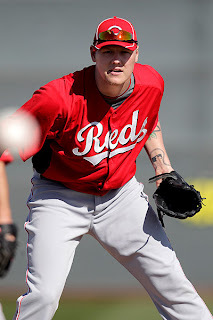 Latos is a stud and will be missed, but the club believes in Alonso and if Volquez stays healthy he’ll find that Petco will make him look like a decent replacement. Carlos Quentin isn’t cheap but he’ll help the Padres improve on the second worst NL offense from last season. Letting Bell walk was a great move since he’s getting up in age and ended up being incredibly overpaid. Huston Street, although not the most high powered closer will get the job done and should see his homerun troubles dissipate in Petco. I wouldn’t count out anyone in the NL West this year, but with some big steps from Alonso and the young but talented pitching staff the Padres could be competitive in the NL West soon. The Rockies will be set with the bats this season but the rotation is a huge question mark. 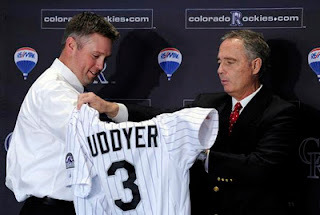 I liked the Scutaro acquisition but Casey Blake is well past is prime and although Cuddyer will hit, they could have gotten similar production without spending $31 M. Guthrie is better than the previous rotation options but his troubles with the long ball could be disastrous in Coors. There were no big losses from the Departures. Wigginton’s versatility may have been nice last year but Cuddyer can do the same thing but better and the infield has been improved anyway. The Mariners were in a tough spot this offseason. After finishing last year scoring by far the fewest runs in the league, they had to watch the two best teams in the division sign major impact free agents. Although fans may have been clamouring for Fielder, this team is much too far from contending to offer the type of contract it inevitably took to sign him. The Mariners therefore spent most of their offseason signing relievers to one year contracts and going for low-risk fliers on guys like Millwood. The biggest move of the offseason was obviously the Montero for Pineda trade. Although the Mariners offense may have been anemic and their pitching is decent I worry that this move is a little short-sighted. 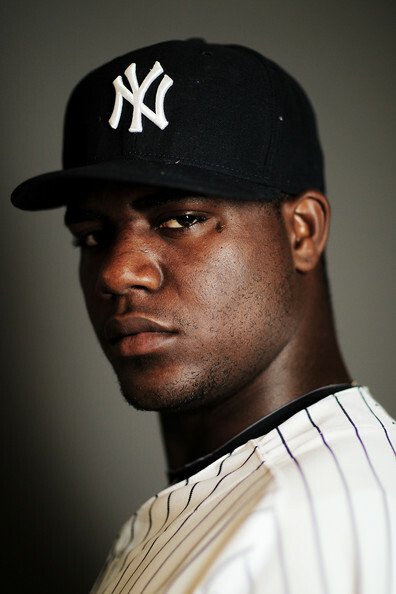 Pineda has shown a power arm with definite ace potential and that is almost always more valuable to a team than an all-star bat. 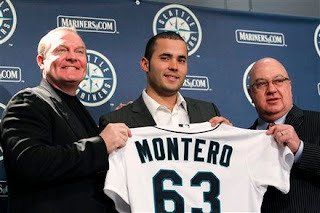 If Montero is able to stick at catcher the trade looks a lot better for the Mariners but all indications are that won’t be the case. Committing to a DH long-term when the team needs to rebuild so much doesn’t seem as wise as holding onto the young controllable pitcher. Ever since Nomar the Red Sox have been struggling to fill their shortstop position. It seemed like the combination of Scutaro and Lowrie was enough to get by though. 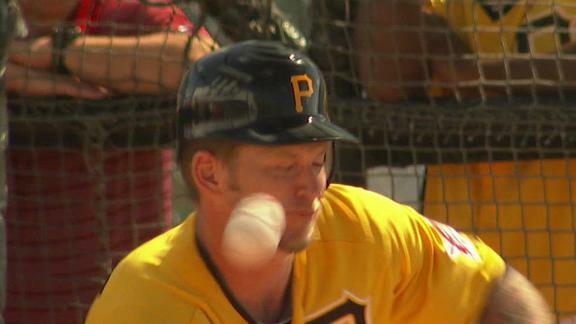 After the loss of Papelbon, trading Lowrie for Melancon was a reasonable move. When Scutaro was sent to the Rockies though in what seemed like a straight salary dump, it left a massive hole at shortstop which Punto and Aviles will struggle to fill. Still, it all would have made sense if that money was directed towards a starter such as Oswalt to fill the hurting rotation. That move never came though. Instead the Red Sox will enter next season with two converted relievers in their rotation. 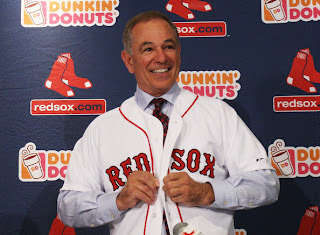 For a team coming off a historic collapse with a few positions of definite need it was strange to see the Red Sox not act on available talent. Andrew Bailey will fill in nicely in the closer role, but there are a few hundred more innings in the rotation that desperately need to be addressed. The Kansas City Royals are a team that may finally be only a couple years away from contending and they approached this offseason with that in mind. Trading Melky Cabrera after his career year not only made room for the team to look at Lorenzo Cain but also let them pick up Jonathan Sanchez. 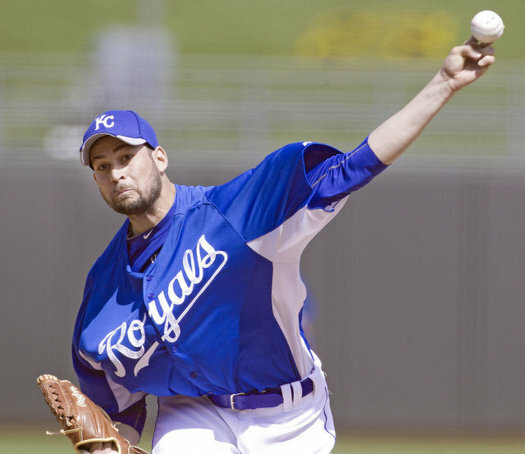 Sanchez has shown before that he has the ability to strike out more than enough at the major league level to make him worthwhile, and if he can cut his walk rate down he could become a valuable piece of the Royals rotation. Broxton was a fairly cheap pickup and could be a valuable trade chip at the deadline if he rediscovers his ways from a few seasons ago. No big moves, but if guys like Hosmer and Moustakas can take the next step, this team could battle for the division soon and for years to come. The 6 players listed above who re-signed or extended over the offseason put up a combined 4.7 WAR last season. Some of those guys will be backups so it isn’t as big of a deal, but multi-year deals for guys like Bloomquist or McDonald seems foolish. Was there a lot of competition for those guys’ services? Kubel should be able to provide a decent outfield bat but he’s going to have to show that he can be the guy with the road splits from last year instead of the power-drained batter in Target Field. Trevor Cahill makes a nice addition and the pitching staff should keep them as NL West favourites, especially if Trevor Bauer can make it to the bigs. 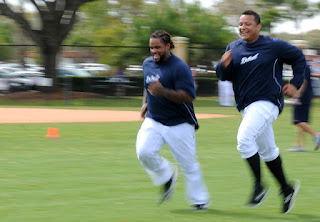 Fielder may have taken his talents to Detroit but it’s tough to fault the Brewers for letting him go. They got 6 productive years from him but the amount it would have cost to hold onto him just didn’t make sense for a team in the financial position of Milwaukee. Instead the team signed Aramis Ramirez to a 3 year, $36 M deal. Although he’s on the downside of his career, he should be able to put up the numbers that make the contract worthwhile. I also like the signing of Alex Gonzalez. Although he’s never been able to get on base at a high enough clip, given the shortstop free agent market after Reyes, he was the right move to help the fans forget about Betancourt. K-Rod accepting arbitration screwed the Brewers but I don’t think that money was necessarily being robbed from improving the team so it isn’t a huge loss. 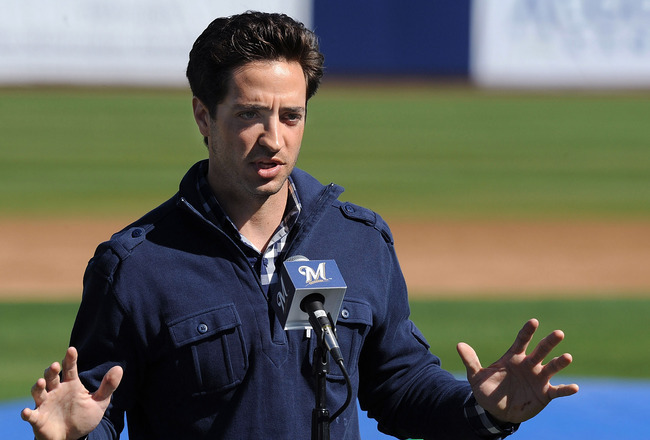 The Brewers didn’t make any big moves but they didn’t really have to. The division was weakened and they still have a solid rotation and enough offense to compete even without Fielder. It feels weird to go through on offseason without the Rays pulling out an “Are you kidding me?” sort of move. The Rays were a playoff team last year though and they improved on their biggest area of need. Casey Kotchman is not the type of first baseman that a team can usually compete with in the AL East. The platoon of Scott and Pena will make up for the lack of corner power from last season. 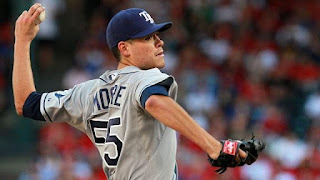 The Matt Moore signing was right out of the Rays playbook and a full season of him in the rotation will improve what was already the AL’s best staff. A full season of Desmond Jennings in the outfield will also be a marked improvement. Overall the Rays didn’t make any big changes, but they improved on their weak points and should again be competing for the division title. A strange offseason of turnover for the Cardinals. 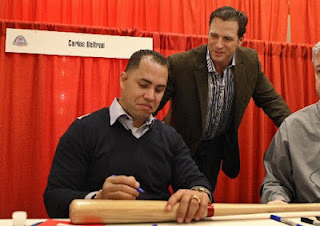 It’s weird to think that an offseason involving the loss of franchise faces Albert Pujols and Tony La Russa could have actually been a good one for the Cardinals. Pujols is 32 and has seen his performance decline for 3 straight seasons. He’ll definitely put up all-star numbers for a few more years but will it be that much better that what Carlos Beltran will do for the next two? In a weakened division with Furcal and Wainwright back, the Cardinals have a definite chance of returning to the playoffs. Although if Pujols were still in the mix they would be the definite favourites. The Jays are a team hoping for a lot of internal improvement and used the offseason only to touchup the roster. If guys like Snider, Rasmus, Lawrie, Arencibia, Morrow, Cecil, Alvarez, and Drabek take the next step in their young careers the Jays could be a force to be reckoned with. The bullpen should be improved from last year and also contains a few pieces that could be swapped at the deadline if the team is out of contention. It would have been good to see a big signing to replace Adam Lind who needs to show that he can hit lefties if he wants to remain a starter in the AL East, but the team could do worse than giving him another chance. The farm system is blossoming with talent and it wouldn’t be a surprise to see some of it in the big leagues or traded for big pieces sooner than later. For now though, it’s tough to see the Jays as more than the fourth best team in the division, but the outlook is definitely trending upwards. 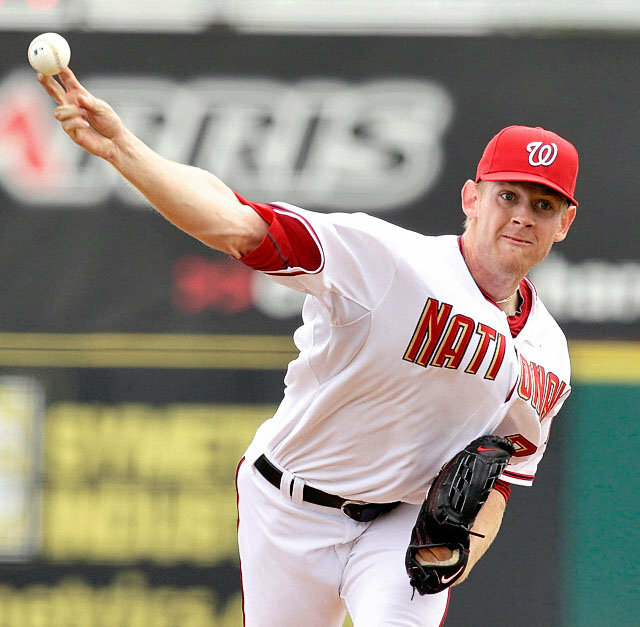 The Papelbon contract was obscene, over-the-top, and completely the right move for this team. The Phillies are in complete win-now mode and having to shill out money to overpaid veterans like Papelbon or Rollins in a few years will be meaningless if the Phillies can take home another World Series or two now. Acquiring Wigginton will serve the Phillies well as he plays multiple positions and should help out a lot while Howard is out. 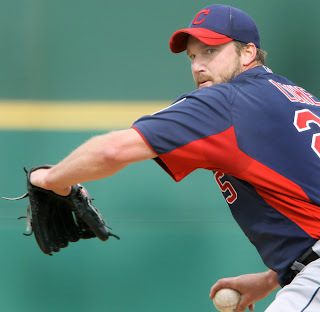 Chad Qualls will be able to replace Lidge in the bullpen and Thome should provide a good bat off the bench, although I’d worry seeing him in the field at all with Howard out. I would have liked to see the Phillies give Oswalt another chance but Worley looks like the real deal and only the top of the rotation will matter in a playoff series. In a few seasons this team may be falling apart but for now they’re doing what they need to to win this year, which given the state of the franchise is probably the best move to make. The Pirates most important move this offseason was locking up franchise cornerstone Andrew McCutchen to a very fair 6 year deal. I like the rest of the team’s moves as well. Bedard and Burnett provide some power for cheap at the top of the rotation and Barmes will be a good improvement and shortstop. If Pedro Alvarez and Jose Tabata can make the leap, don’t be surprised if the Pirates make some noise in the weakened NL Central this coming season. The Rangers don’t have a lot to improve on coming off two straight pennants but it’s difficult to look at Mitch Moreland and not think that maybe going after a first baseman would have been their best offseason plan. 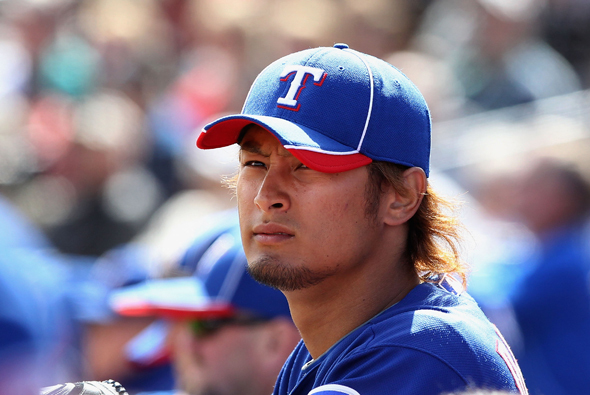 The Rangers instead chose to spend extravagantly on Darvish, the most expensive pitching signing of the offseason. He comes with a lot of question marks, but so did re-signing C.J. Wilson, so it seems like they made the right decision. Joe Nathan looked like he was back at the end of last season, but it’s a small sample size and one I don’t think I would give 2 years and $14 M to find more about. If Feliz makes a seamless transition to the rotation the Rangers will be favourites to return to the World Series again, but it’s still tough to look at first base and not think they could have done more. The signing of Prince Fielder alone puts them into the top 10 but the Tigers have a lot of question marks this season and most of them will come down to how Leyland chooses to handle the team. Long spells of Miguel Cabrera at third or Austin Jackson batting leadoff could be just enough to let other teams in the division get a sniff of the lead. Doug Fister also needs to show that his third of a season with across the board improvement in his numbers in Detroit was not a fluke. The team will not miss Brad Penny as Jacob Turner should fill his spot in the rotation and hopefully break-out to what the scouts think he can be. The Tigers benefit from playing in an extremely weak division but I know I’m not the only one excited to see Miggy and Fielder batting back-to-back in Detroit this season. The Nationals have arrived. They’ve turned over their rotation, bringing in Gio Gonzalez and Edwin Jackson, and welcoming back Stephen Strasburg. Edwin Jackson didn’t seem like a realistic signing earlier in the offseason but with no one offering him a multi-year deal, the Nationals swooped in and grabbed him on the cheap. Bryce Harper will be with the team soon and Desmond, Espinosa, and Ramos should all improve this season. The team will be better the less LaRoche has to play and with Ankiel, Bernandina, and DeRosa in the mix, there’s definitely the possibility that one of them breaks out. The Nationals are young and definitely have their work cut out for them, but with the extra wild card team and Werth playing back to his Phillies numbers this team could definitely be in the playoff mix this season. The Reds saw an opening at the top of the division this season and spent the offseason doing all they could to try and fill it. Alonso was blocked at the major league roster and became expendable. Getting ace Mat Latos for him was a great haul. As a result of his fallout with the Phillies, Madson came cheap on a one year deal, and him and Marshall will be solid additions in the bullpen. I worry that the rotation still isn’t strong enough but it was a weak FA class this offseason and the Reds did great on the trade market. It may not end up being enough to win the division, but they did the best with what they had and if guys like Rolen and Stubbs can bounce back they will definitely be in the mix. The Angels signed the best position player and pitcher on the free agent market, what’s not to like? Well for one, the length of the contract given to Pujols, and two, the best pitcher on the free agent market means a lot less in such a weak free agent class. They sport a phenomenal rotation but seem to have a glut of aging veterans on the field. They tried to relieve it by trading Abreu for Burnett but that was struck down by AJ’s veto. Scioscia is going to have to find a way to get trout up to the big leagues but with Wells, Hunter, Abreu, Trumbo, Bourjos, and Morales all in the mix for playing time that may prove difficult. All those guys are capable though, or at least have been in the past, so there are worse problems to have. The team will also benefit from losing Scioscia’s favourite pet project in Mathis. If Scioscia lets his best guys play though, this is a team that we’ll definitely hear more from come October. It was a relatively quiet offseason for the Yankees but they did a better job of addressing their needs than any team in baseball. The Yankees offense put up the most runs in the league last season but lack of depth in their starting rotation forced them to give 51 starts to major question marks in Freddy Garcia and Bartolo Colon. After bringing in Pineda and Kuroda this will no longer be an issue. Montero was tough to give up, but the Yankees will be set at DH for the future with their aging veterans, so Pineda will be a staple in the rotation for many years to come. Ibanez will also help on the depth chart and provide some lefty power off the bench. The Yankees didn’t make many major moves this offseason but they filled the few holes on a division winner well. They’ll be contending for the World Series as usual this post season. After years of cheapskating through the National League the Marlins moved ballparks and finally opened the purse strings. 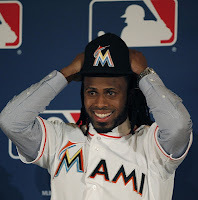 After bringing in manager and part-time entertainer Ozzie Guillen to lead the new team, they made the first big splash of the offseason by signing Jose Reyes. He’s a dynamic shortstop who will help the team’s defense not only by his own merits but by pushing Hanley Ramirez over to third. I love watching Buehrle pitch with his trademark speed and he’ll be a great veteran presence in the rotation. Zambrano is a bit of a question mark at this point, but with the Cubs eating almost the entire contract it was a great move. 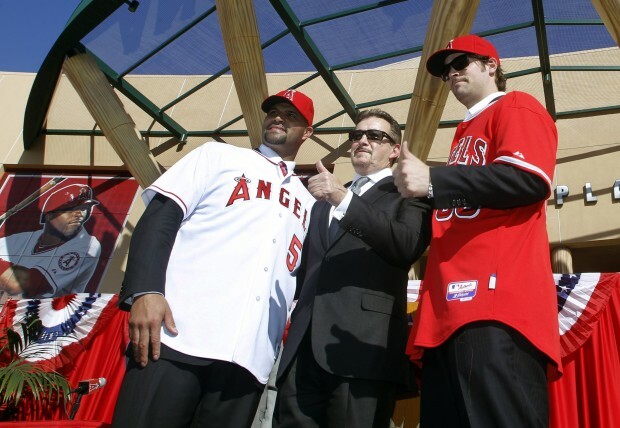 The Heath Bell money could have probably been better spent upping their offer to Pujols a bit or by adding more depth but the Marlins wanted to make a loud statement and they certainly did. Miami made some big jumps this offseason and should now contend for the Wild Card in the stacked NL East.